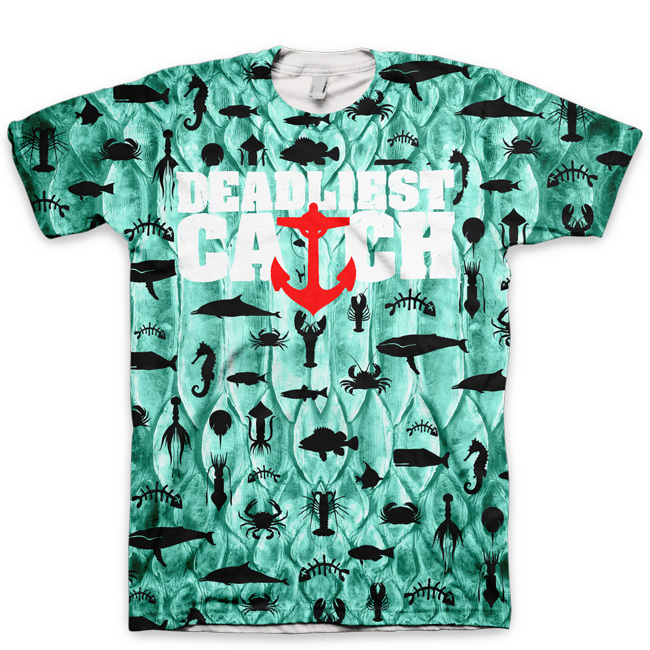 This all over print shirt is designed by Chef of GourmetKickz for the Gone Fishing foamposite. It has a great fish scale background texture and a sea create repeating pattern. The chest logo is a spin off a popular TV series.